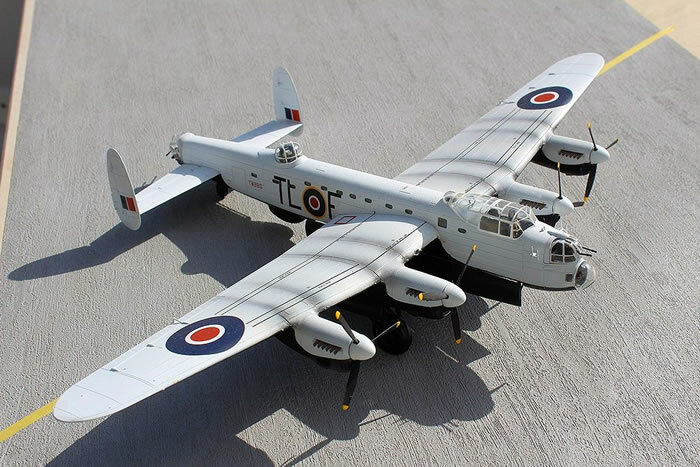 Airfix's 1/72 Lancaster is available online from Squadron for only $33.99! Airfix Kit No. 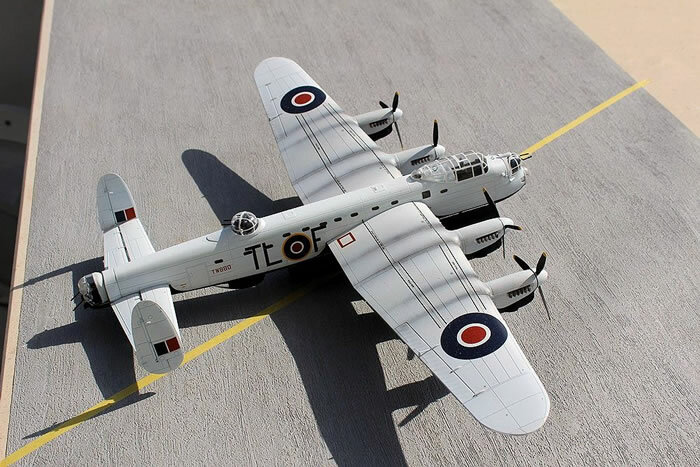 AX08013 – Avro Lancaster B.I/III (F.E.)/B.III. Six grey and one clear sprues, 236 parts, with decals for two machines. Well engineered. 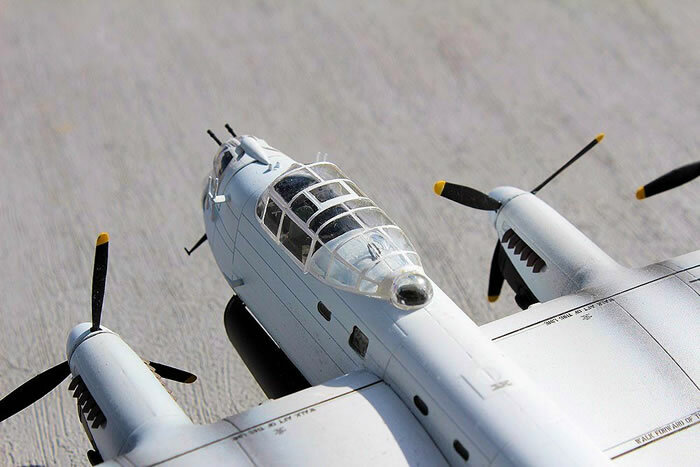 Crisp surface detail, high level of detail; many useful options including open bomb-bays, separate control surfaces and flaps; wing and belly tanks included. Early and late props, exhausts, radomes and turrets. An excellent kit in every respect. 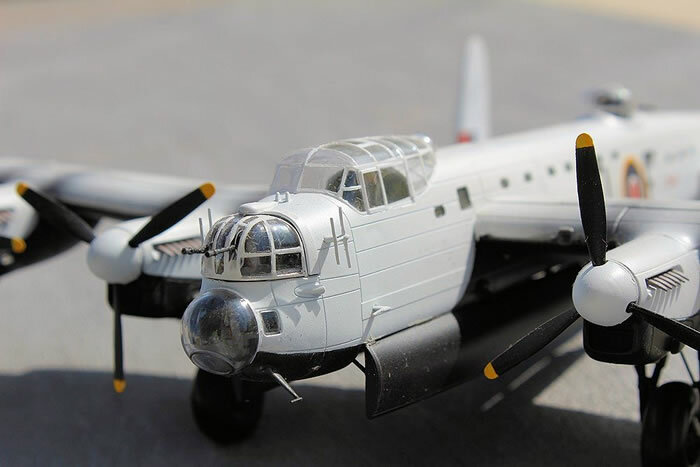 My first Lancaster was that issued in 1958 by Airfix. When I said ‘my first…’, I really mean that it was my dad’s first as I was only seven at the time and my father, an RAF officer, was quite proprietorial about this kit. It was, at the time, a revelation, quite extraordinary. When made, however, it was mine to love! I made it since and loved it as much but I thought the newer Revell model was better and it was a Dambuster! That was probably in 1966. Since then, I don’t recall ever making another so was delighted to see Airfix produce this new tooling of the great aircraft. 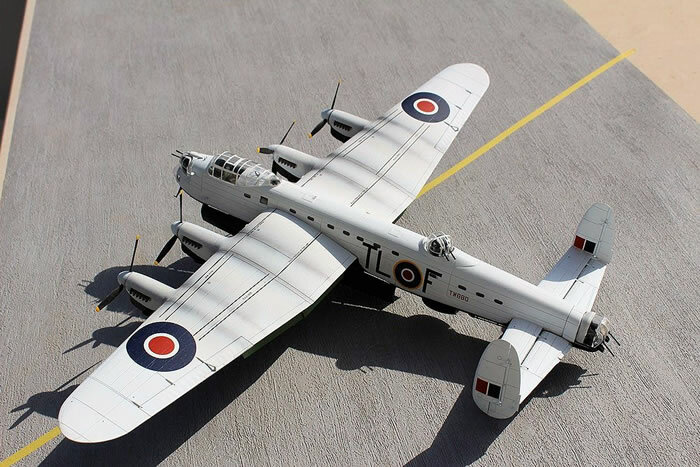 You don’t need me to tell you that Airfix have resumed their place at the forefront of the hobby and this kit is a first-class example of that. I resisted the urge to do a full-build review because that would actually be a tedious read. Suffice to say that, if you follow the instructions, you get a problem-free build. I built it straight-from-the-box and only added some Eduard harnesses. The interior detail is very good but little can be seen, even though the transparencies are lovely, clear and thin. The only filler that I needed was here and there on the lower fuselage seams but that may have been my fault inserting the bomb-bay interior. The fit of the rest was excellent though I brushed some Alclad grey primer along some of the seams. The open bomb-bay doors were difficult to fit securely as the attachment points are to scale and tiny. Superglue to the rescue. The undercarriage is a work of art, accurate, detailed but strong and there is some amazing structural detail inside the wheel wells. My only niggles were that I prefer the transparencies to be installed from the outside and would like to be able to pop the propellers on right at the end. As it is, I ended up leaving the engine fronts off until the end. The kit includes both types of propellers, exhausts, nose radomes and turrets. I decided to do the Tiger Force colour scheme as it was change from the usual dull dark-earth and dark-green camouflage and this caused the usual problems of any colour scheme that is predominantly white…how white is white? I used Tamiya’s rattle-can white primer and Alclad’s gloss black lacquer to see how everything looked and it turned out fine. I also used Eduard’s canopy masks which cover all the transparencies and work beautifully with no seepage. These aircraft had a lot of exhaust staining on the upper surfaces of the wings so I did this freehand then added a little additional weathering using Humbrol weathering powder. I glossed the upper surfaces before adding the decals then applied matt varnish. The overall effect was fine for me. The decals are excellent quality but take quite a bit of time to come free from the backing paper. So what could Airfix have added? Some bombs for the empty bomb-bay would have been nice but you have to buy these separately. A bit mean really. Overall, however, this is a problem-free build and an excellent kit which I recommend without reservation.